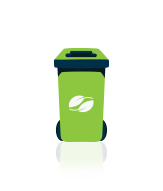 The Fully mobile Wheelie bin is an ideal space saver for any business. That’s because with us, you’ll find the sturdy wheelie bin in various sizes around the UK! Large bins- steel break-controlled castor wheels for the optimal movement of higher commercial waste quantities. 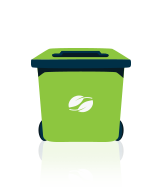 Across the board, their easy-to-lock lids are just another reason why wheelie bin hire or purchase is a practical solution to recyclables and general waste.